The number of people choosing cremation in the Gastonia and Belmont area has increased significantly in the past few years, yet cremation carries a long tradition and remains largely unchanged. The biggest misconception about cremation is that there can't be a funeral service or visitation. This is absolutely not the case - when you choose to care for the physical remains through cremation, we encourage you to consider holding a memorial service as well. There are many options open to you when it comes to honoring your loved one's life: you can provide a chance for friends and family to say goodbye through a final viewing before the cremation, and you can also hold a formal service either before or after the cremation occurs. Complete Cremation Services will be just like a Complete Funeral Service except cremation will follow instead of the casketed burial. This can be accommodated by the use of a cremation casket (casket that is designed to be cremated) or the use of a rental casket. 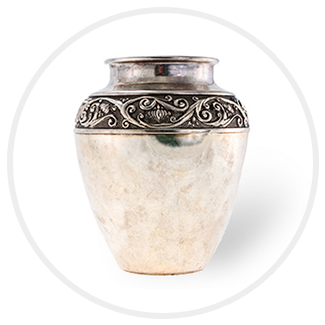 Following the viewing, service or ceremony, and eventual cremation, the cremated remains can be buried, properly scattered, or returned to the family for safe keeping. Urns are used to hold the cremated remains. Immediate Cremation Services can be arranged as an immediate disposition of the body, but is most times followed by a memorial service at the church, funeral home or other location. A Memorial Service is one where the body is not present. We recommend that if you select an immediate cremation that you are allowed a time, if possible, to privately view the body as a family. If the viewing can be done in a matter of a few hours after the death then embalming will not be necessary. If there is to be a long delay (more than 8-12 hours) then embalming would be encouraged. If the viewing could not be done within 48 hours then embalming may be required. Viewing of the deceased is a very important step in acknowledging that the death has occurred. Having some type of service or ceremony is also a key ingredient to a healthy recovery of a loss due to a death. Direct Cremation refers to a cremation being provided, while limiting funeral services to the initial transfer and local transportation of the deceased into our care.